Asisbiz photo collection of ‘Plants’. Plants are living organisms belonging to the kingdom Plantae. They include familiar organisms such as trees, herbs, bushes, grasses, vines, ferns, mosses, and green algae. The scientific study of plants, known as botany, has identified about 350,000 extant species of plants, defined as seed plants, bryophytes, ferns and fern allies. As of 2004, some 287,655 species had been identified, of which 258,650 are flowering and 18,000 bryophytes (see table below). Green plants, sometimes called Viridiplantae, obtain most of their energy from sunlight via a process called photosynthesis. Aristotle divided all living things between plants (which generally do not move), and animals (which often are mobile to catch their food). In Linnaeus' system, these became the Kingdoms Vegetabilia (later Metaphyta or Plantae) and Animalia (also called Metazoa). Since then, it has become clear that the Plantae as originally defined included several unrelated groups, and the fungi and several groups of algae were removed to new kingdoms. However, these are still often considered plants in many contexts, both technical and popular. Land plants, also known as Embryophyta or Metaphyta. Plantae sensu strictissimo As the narrowest of plant categories, this is further delineated below. Green plants - also known as Viridiplantae, Viridiphyta or Chlorobionta Plantae sensu stricto Comprise the above Embryophytes, Charophyta (i.e., primitive stoneworts), and Chlorophyta (i.e., green algae such as sea lettuce). Viridiplantae encompasses a group of organisms that possess chlorophyll a and b, have plastids that are bound by only two membranes, are capable of storing starch, and have cellulose in their cell walls. It is this clade which is mainly the subject of this article. Archaeplastida, Plastida or Primoplantae Plantae sensu lato Comprises the green plants above, as well as Rhodophyta (red algae) and Glaucophyta (simple glaucophyte algae). As the broadest plant clade, this comprises most of the eukaryotes that eons ago acquired their chloroplasts directly by engulfing cyanobacteria. Outside of formal scientific contexts, the term "plant" implies an association with certain traits, such as multicellularity, cellulose, and photosynthesis. Many of the classification controversies involve organisms that are rarely encountered and are of minimal apparent economic significance, but are crucial in developing an understanding of the evolution of modern flora. Most algae are no longer classified within the Kingdom Plantae. The algae comprise several different groups of organisms that produce energy through photosynthesis, each of which arose independently from separate non-photosynthetic ancestors. Most conspicuous among the algae are the seaweeds, multicellular algae that may roughly resemble terrestrial plants, but are classified among the green, red, and brown algae. Each of these algal groups also includes various microscopic and single-celled organisms. The two groups of green algae are the closest relatives of land plants (embryophytes). The first of these groups is the Charophyta (desmids and stoneworts), from which the embryophytes developed. The sister group to the combined embryophytes and charophytes is the other group of green algae,Chlorophyta, and this more inclusive group is collectively referred to as the green plants or Viridiplantae. The Kingdom Plantae is often taken to mean this monophyletic grouping. With a few exceptions among the green algae, all such forms have cell walls containing cellulose, have chloroplasts containing chlorophylls a and b, and store food in the form of starch. They undergo closed mitosis without centrioles, and typically have mitochondria with flat cristae. The chloroplasts of green plants are surrounded by two membranes, suggesting they originated directly from endosymbiotic cyanobacteria. The same is true of two additional groups of algae: the Rhodophyta (red algae) and Glaucophyta. All three groups together are generally believed to have a common origin, and so are classified together in the taxon Archaeplastida. In contrast, most other algae (e.g. heterokonts, haptophytes, dinoflagellates, and euglenids) have chloroplasts with three or four surrounding membranes. They are not close relatives of the green plants, presumably acquiring chloroplasts separately from ingested or symbiotic green and red algae. Fungi were previously included in the plant kingdom, but are now seen to be more closely related to animals. Unlike embryophytes and algae which are generally photosynthetic, fungi are often saprotrophs: obtaining food by breaking down and absorbing surrounding materials. Most fungi are formed by microscopic structures called hyphae, which may or may not be divided into cells but contain eukaryotic nuclei. Fruiting bodies, of which mushrooms are most familiar, are the reproductive structures of fungi. They are not related to any of the photosynthetic groups, but are close relatives of animals. Therefore, the fungi are in a kingdom of their own. About 350,000 species of plants, defined as seed plants, bryophytes, ferns and fern allies, are estimated to exist currently. As of 2004, some 287,655 species had been identified, of which 258,650 are flowering plants, 16,000 bryophytes, 11,000 ferns and 8,000 green algae. The naming of plants is governed by the International Code of Botanical Nomenclature and International Code of Nomenclature for Cultivated Plants (see cultivated plant taxonomy). The plants that are likely most familiar to us are the multicellular land plants, called embryophytes. They include the vascular plants, plants with full systems of leaves, stems, and roots. They also include a few of their close relatives, often called bryophytes, of which mosses and liverworts are the most common. All of these plants have eukaryotic cells with cell walls composed of cellulose, and most obtain their energy through photosynthesis, using light and carbon dioxide to synthesize food. About three hundred plant species do not photosynthesize but are parasites on other species of photosynthetic plants. Plants are distinguished from green algae, which represent a mode of photosynthetic life similar to the kind modern plants are believed to have evolved from, by having specialized reproductive organs protected by non-reproductive tissues. Bryophytes first appeared during the early Paleozoic. They can only survive where moisture is available for significant periods, although some species are desiccation tolerant. Most species of bryophyte remain small throughout their life-cycle. This involves an alternation between two generations: a haploid stage, called the gametophyte, and a diploid stage, called the sporophyte. The sporophyte is short-lived and remains dependent on its parent gametophyte. Vascular plants first appeared during the Silurian period, and by the Devonian had diversified and spread into many different land environments. They have a number of adaptations that allowed them to overcome the limitations of the bryophytes. These include a cuticle resistant to desiccation, and vascular tissues which transport water throughout the organism. In most the sporophyte acts as a separate individual, while the gametophyte remains small. The first primitive seed plants, Pteridosperms (seed ferns) and Cordaites, both groups now extinct, appeared in the late Devonian and diversified through the Carboniferous, with further evolution through the Permian and Triassic periods. In these the gametophyte stage is completely reduced, and the sporophyte begins life inside an enclosure called a seed, which develops while on the parent plant, and with fertilisation by means of pollen grains. Whereas other vascular plants, such as ferns, reproduce by means of spores and so need moisture to develop, some seed plants can survive and reproduce in extremely arid conditions. Early seed plants are referred to as gymnosperms (naked seeds), as the seed embryo is not enclosed in a protective structure at pollination, with the pollen landing directly on the embryo. Four surviving groups remain widespread now, particularly the conifers, which are dominant trees in several biomes. The angiosperms, comprising the flowering plants, were the last major group of plants to appear, emerging from within the gymnosperms during the Jurassic and diversifying rapidly during the Cretaceous. These differ in that the seed embryo (angiosperm) is enclosed, so the pollen has to grow a tube to penetrate the protective seed coat; they are the predominant group of flora in most biomes today. Plant fossils include roots, wood, leaves, seeds, fruit, pollen, spores, phytoliths, and amber (the fossilized resin produced by some plants). Fossil land plants are recorded in terrestrial, lacustrine, fluvial and nearshore marine sediments. 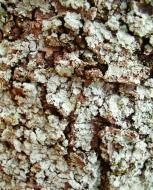 Pollen, spores and algae (dinoflagellates and acritarchs) are used for dating sedimentary rock sequences. The remains of fossil plants are not as common as fossil animals, although plant fossils are locally abundant in many regions worldwide. The earliest fossils clearly assignable to Kingdom Plantae are fossil green algae from the Cambrian. These fossils resemble calcified multicellular members of the Dasycladales. Earlier Precambrian fossils are known which resemble single-cell green algae, but definitive identity with that group of algae is uncertain. The oldest known fossils of embryophytes date from the Ordovician, though such fossils are fragmentary. By the Silurian, fossils of whole plants are preserved, including the lycophyte Baragwanathia longifolia. From the Devonian, detailed fossils of rhyniophytes have been found. Early fossils of these ancient plants show the individual cells within the plant tissue. The Devonian period also saw the evolution of what many believe to be the first modern tree, Archaeopteris. This fern-like tree combined a woody trunk with the fronds of a fern, but produced no seeds. The Coal measures are a major source of Paleozoic plant fossils, with many groups of plants in existence at this time. The spoil heaps of coal mines are the best places to collect; coal itself is the remains of fossilised plants, though structural detail of the plant fossils is rarely visible in coal. In the Fossil Forest at Victoria Park in Glasgow, Scotland, the stumps of Lepidodendron trees are found in their original growth positions. The fossilized remains of conifer and angiosperm roots, stems and branches may be locally abundant in lake and inshore sedimentary rocks from the Mesozoic and Cenozoic eras. 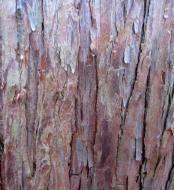 Sequoia and its allies, magnolia, oak, and palms are often found. Petrified wood is common in some parts of the world, and is most frequently found in arid or desert areas where it is more readily exposed by erosion. Petrified wood is often heavily silicified (the organic material replaced by silicon dioxide), and the impregnated tissue is often preserved in fine detail. Such specimens may be cut and polished using lapidary equipment. Fossil forests of petrified wood have been found in all continents. Fossils of seed ferns such as Glossopteris are widely distributed throughout several continents of the Southern Hemisphere, a fact that gave support to Alfred Wegener's early ideas regarding Continental drift theory. Most of the solid material in a plant is taken from the atmosphere. Through a process known as photosynthesis, most plants use the energy in sunlight to convert carbon dioxide from the atmosphere, plus water, into simple sugars. Parasitic plants, on the other hand, use the resources of its host to grow. These sugars are then used as building blocks and form the main structural component of the plant. Chlorophyll, a green-colored, magnesium-containing pigment is essential to this process; it is generally present in plant leaves, and often in other plant parts as well. Plants usually rely on soil primarily for support and water (in quantitative terms), but also obtain compounds of nitrogen, phosphorus, and other crucial elemental nutrients. Epiphytic and lithophytic plants often depend on rainwater or other sources for nutrients and carnivorous plants supplement their nutrient requirements with insect prey that they capture. For the majority of plants to grow successfully they also require oxygen in the atmosphere and around their roots for respiration. However, some plants grow as submerged aquatics, using oxygen dissolved in the surrounding water, and a few specialized vascular plants, such as mangroves, can grow with their roots in anoxic conditions. The leaf is usually the primary site of photosynthesis in plants. The genotype of a plant affects its growth, for example selected varieties of wheat grow rapidly, maturing within 110 days, whereas others, in the same environmental conditions, grow more slowly and mature within 155 days. Growth is also determined by environmental factors, such as temperature, available water, available light, and available nutrients in the soil. Any change in the availability of these external conditions will be reflected in the plants growth. Biotic factors are also capable of affecting plant growth. Plants compete with other plants for space, water, light and nutrients. Plants can be so crowded that no single individual produces normal growth. Optimal plant growth can be hampered by grazing animals, suboptimal soil composition, lack of mycorrhizal fungi, and attacks by insects or plant diseases, including those caused by bacteria, fungi, viruses, and nematodes. Simple plants like algae may have short life spans as individuals, but their populations are commonly seasonal. Other plants may be organized according to their seasonal growth pattern: annual plants live and reproduce within one growing season, biennial plants live for two growing seasons and usually reproduce in second year, and perennial plants live for many growing seasons and continue to reproduce once they are mature. These designations often depend on climate and other environmental factors; plants that are annual in alpine or temperate regions can be biennial or perennial in warmer climates. Among the vascular plants, perennials include both evergreens that keep their leaves the entire year, and deciduous plants which lose their leaves for some part of it. In temperate and boreal climates, they generally lose their leaves during the winter; many tropical plants lose their leaves during the dry season. The growth rate of plants is extremely variable. Some mosses grow less than 0.001 millimeters per hour (mm/h), while most trees grow 0.025-0.250 mm/h. Some climbing species, such as kudzu, which do not need to produce thick supportive tissue, may grow up to 12.5 mm/h. Plants protect themselves from frost and dehydration stress with antifreeze proteins, heat-shock proteins and sugars (sucrose is common). LEA (Late Embryogenesis Abundant) protein expression is induced by stresses and protects other proteins from aggregation as a result of desiccation and freezing. Plant cells are typically distinguished by their large water-filled central vacuole, chloroplasts, and rigid cell walls that are comprised of cellulose, hemicellulose, and pectin. Cell division is also characterized by the development of a phragmoplast for the construction of a cell plate in the late stages of cytokinesis. Just as in animals, plant cells differentiate and develop into multiple cell types. Totipotent meristematic cells can differentiate into vascular, storage, protective (e.g. epidermal layer), or reproductive tissues, with more primitive plants lacking some tissue types. Plants are photosynthetic, which means that they manufacture their own food molecules using energy obtained from light. The primary mechanism plants have for capturing light energy is the pigment chlorophyll. All green plants contain two forms of chlorophyll, chlorophyll a and chlorophyll b. The latter of these pigments is not found in red or brown algae. Vascular plants differ from other plants in that they transport nutrients between different parts through specialized structures, called xylem and phloem. They also have roots for taking up water and minerals. The xylem moves water and minerals from the root to the rest of the plant, and the phloem provides the roots with sugars and other nutrient produced by the leaves. The photosynthesis conducted by land plants and algae is the ultimate source of energy and organic material in nearly all ecosystems. Photosynthesis radically changed the composition of the early Earth's atmosphere, which as a result is now 21% oxygen. Animals and most other organisms are aerobic, relying on oxygen; those that do not are confined to relatively rare anaerobic environments. Plants are the primary producers in most terrestrial ecosystems and form the basis of the food web in those ecosystems. Many animals rely on plants for shelter as well as oxygen and food. Land plants are key components of the water cycle and several other biogeochemical cycles. Some plants have coevolved with nitrogen fixing bacteria, making plants an important part of the nitrogen cycle. Plant roots play an essential role in soil development and prevention of soil erosion. Plants are distributed worldwide in varying numbers. While they inhabit a multitude of biomes and ecoregions, few can be found beyond the tundras at the northernmost regions of continental shelves. At the southern extremes, plants have adapted tenaciously to the prevailing conditions. Plants are often the dominant physical and structural component of habitats where they occur. Many of the Earth's biomes are named for the type of vegetation because plants are the dominant organisms in those biomes, such as grasslands and forests. Numerous animals have coevolved with plants. Many animals pollinate flowers in exchange for food in the form of pollen or nectar. Many animals disperse seeds, often by eating fruit and passing the seeds in their feces. Myrmecophytes are plants that have coevolved with ants. The plant provides a home, and sometimes food, for the ants. In exchange, the ants defend the plant from herbivores and sometimes competing plants. Ant wastes provide organic fertilizer. The majority of plant species have various kinds of fungi associated with their root systems in a kind of mutualistic symbiosis known as mycorrhiza. The fungi help the plants gain water and mineral nutrients from the soil, while the plant gives the fungi carbohydrates manufactured in photosynthesis. Some plants serve as homes for endophytic fungi that protect the plant from herbivores by producing toxins. The fungal endophyte, Neotyphodium coenophialum, in tall fescue (Festuca arundinacea) does tremendous economic damage to the cattle industry in the U.S. Various forms of parasitism are also fairly common among plants, from the semi-parasitic mistletoe that merely takes some nutrients from its host, but still has photosynthetic leaves, to the fully parasitic broomrape and toothwort that acquire all their nutrients through connections to the roots of other plants, and so have no chlorophyll. Some plants, known as myco-heterotrophs, parasitize mycorrhizal fungi, and hence act as epiparasites on other plants. Many plants are epiphytes, meaning they grow on other plants, usually trees, without parasitizing them. Epiphytes may indirectly harm their host plant by intercepting mineral nutrients and light that the host would otherwise receive. The weight of large numbers of epiphytes may break tree limbs. Hemiepiphytes like the strangler fig begin as epiphytes but eventually set their own roots and overpower and kill their host. Many orchids, bromeliads, ferns and mosses often grow as epiphytes. Bromeliad epiphytes accumulate water in leaf axils to form phytotelmata, complex aquatic food webs. Approximately 630 plants are carnivorous, such as the Venus Flytrap (Dionaea muscipula) and sundew (Drosera species). They trap small animals and digest them to obtain mineral nutrients, especially nitrogen and phosphorus. Potato plant. Potatoes spread to the rest of the world after European contact with the Americas in the late 1400s and early 1500s and have since become an important field crop. Timber in storage for later processing at a sawmill. The study of plant uses by people is termed economic botany or ethnobotany; some consider economic botany to focus on modern cultivated plants, while ethnobotany focuses on indigenous plants cultivated and used by native peoples. Human cultivation of plants is part of agriculture, which is the basis of human civilization. Plant agriculture is subdivided into agronomy, horticulture and forestry. Much of human nutrition depends on land plants, either directly or indirectly. Human nutrition depends to a large extent on cereals, especially maize (or corn), wheat and rice. Other staple crops include potato, cassava, and legumes. Human food also includes vegetables, spices, and certain fruits, nuts, herbs, and edible flowers. Beverages produced from plants include coffee, tea, wine, beer and alcohol. Sugar is obtained mainly from sugar cane and sugar beet. Cooking oils and margarine come from maize, soybean, rapeseed, safflower, sunflower, olive and others. Food additives include gum arabic, guar gum, locust bean gum, starch and pectin. Livestock animals including cows, pigs, sheep, and goats are all herbivores; and feed primarily or entirely on cereal plants, particularly grasses. Wood is used for buildings, furniture, paper, cardboard, musical instruments and sports equipment. Cloth is often made from cotton, flax or synthetic fibers derived from cellulose, such as rayon and acetate. Renewable fuels from plants include firewood, peat and many other biofuels. Coal and petroleum are fossil fuels derived from plants. Medicines derived from plants include aspirin, taxol, morphine, quinine, reserpine, colchicine, digitalis and vincristine. There are hundreds of herbal supplements such as ginkgo, Echinacea, feverfew, and Saint John's wort. Pesticides derived from plants include nicotine, rotenone, strychnine and pyrethrins. Drugs obtained from plants include opium, cocaine and marijuana. Poisons from plants include ricin, hemlock and curare. Plants are the source of many natural products such as fibers, essential oils, dyes, pigments, waxes, tannins, latex, gums, resins, alkaloids, amber and cork. Products derived from plants include soaps, paints, shampoos, perfumes, cosmetics, turpentine, rubber, varnish, lubricants, linoleum, plastics, inks, chewing gum and hemp rope. Plants are also a primary source of basic chemicals for the industrial synthesis of a vast array of organic chemicals. These chemicals are used in a vast variety of studies and experiments. Thousands of plant species are cultivated for aesthetic purposes as well as to provide shade, modify temperatures, reduce wind, abate noise, provide privacy, and prevent soil erosion. People use cut flowers, dried flowers and houseplants indoors or in greenhouses. In outdoor gardens, lawn grasses, shade trees, ornamental trees, shrubs, vines, herbaceous perennials and bedding plants are used. Images of plants are often used in art, architecture, humor, language, and photography and on textiles, money, stamps, flags and coats of arms. Living plant art forms include topiary, bonsai, ikebana and espalier. Ornamental plants have sometimes changed the course of history, as in tulipomania. Plants are the basis of a multi-billion dollar per year tourism industry which includes travel to arboretums, botanical gardens, historic gardens, national parks, tulip festivals, rainforests, forests with colorful autumn leaves and the National Cherry Blossom Festival. Venus Flytrap, sensitive plant and resurrection plant are examples of plants sold as novelties. Tree rings are an important method of dating in archeology and serve as a record of past climates. Basic biological research has often been done with plants, such as the pea plants used to derive Gregor Mendel's laws of genetics. Space stations or space colonies may one day rely on plants for life support. Plants are used as national and state emblems, including state trees and state flowers. Ancient trees are revered and many are famous. Numerous world records are held by plants. Plants are often used as memorials, gifts and to mark special occasions such as births, deaths, weddings and holidays. Plants figure prominently in mythology, religion and literature. The field of ethnobotany studies plant use by indigenous cultures which helps to conserve endangered species as well as discover new medicinal plants. Gardening is the most popular leisure activity in the U.S. Working with plants or horticulture therapy is beneficial for rehabilitating people with disabilities. Certain plants contain psychotropic chemicals which are extracted and ingested, including tobacco, cannabis (marijuana), and opium. Weeds are plants that grow where people do not want them. People have spread plants beyond their native ranges and some of these introduced plants become invasive, damaging existing ecosystems by displacing native species. Invasive plants cause billions of dollars in crop losses annually by displacing crop plants, they increase the cost of production and the use of chemical means to control them affects the environment. Plants may cause harm to people and animals. Plants that produce windblown pollen invoke allergic reactions in people who suffer from hay fever. A wide variety of plants are poisonous to people and/or animals. Several plants cause skin irritations when touched, such as poison ivy. Certain plants contain psychotropic chemicals, which are extracted and ingested or smoked, including tobacco, cannabis (marijuana), cocaine and opium, causing damage to health or even death. Both illegal and legal drugs derived from plants have negative effects on the economy, affecting worker productivity and law enforcement costs. Some plants cause allergic reactions in people and animals when ingested, while other plants cause food intolerances that negatively affect health.